One of the things that often brought up as missing from the new era of Star Wars films, that was prevalent in George Lucas' original six installments, is romance. In the original trilogy it was Han and Leia, in the prequels there was Anakin and Padme, in The Force Awakens and Rogue One there's nothing--at least nothing that compares to the relationships of the previous trilogies. To be fair, the love stories of the previous trilogies didn't pick up until the second chapter. So, will The Last Jedi continue this tradition? 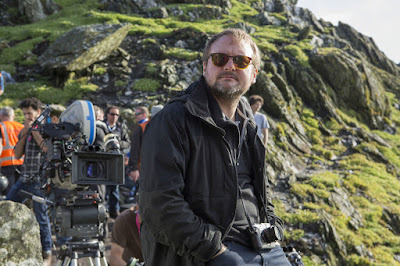 In an interview with Vanity Fair, released following the reveal of Annie Leibovitz's portraits of the cast and David Kamp's cover story, The Last Jedi writer/director Rian Johnson addressed the issue of romance in his film. Johnson claims there will be no equivalent relationship in The Last Jedi to that of Han and Leia in the original trilogy. Johnson said there's, "no one-to-one equivalent of the Han-to-Leia, burning, unrequited love. In our story, that’s not a centerpiece." While it sounds like The Last Jedi won't be following in the footsteps of The Empire Strikes Back and Attack of the Clones when it comes to introducing a major love story, Johnson's comments don't necessarily mean there's no love story. He says it's not central to the story in the way that Han and Leia (or Anakin and Padme, for that matter) were in the original trilogy, but he does seem to leave the door open for a romantic subplot. So it sounds like there will be some love in The Last Jedi, just not to the extent that previous middle of the trilogy films have had.